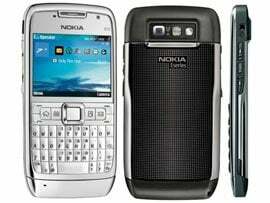 Nokia mobile phone market share dropped from 30.6% to 25.1%, reaching its lowest level since 1997, selling in the first quarter of 2011 107.6 million units, according to a study made by the research firm Gartner. At the same time, Samsung’s sales increased from 64.9 to 68.8 million units, and the producer has a market share of 16.1%. The list is completed by LG, which has sold in the first quarter of 2011 27.2 million mobile phones, representing 7.6% of market. Apple is ranked four in the mobile phones top, but also in the operating system top, with 16.9 million iPhones sold worldwide, double value than in the first quarter of last year. The company’s market share, both in smartphones and operating systems, increased from 2.3% to 3.9%. The sales of the Canadians from Research In Motion, the Blackberry manufacturer, have increased in the same period from 10.8 to 13 million units, the company having a market share of 3%. In the operating systems, Android has become the most popular platform in the world, increasing its last year market share from 9.6% to 36%. The market share of Symbian, at which Nokia will renounce in favor of Windows Mobile, has decreased in the last year from 44.2% to 27.4%. In total, in the first quarter of 2011 were sold 427.9 million mobile phones, an increase with 19% over the number recorded in the first three months of 2010. Gartner says that, despite this 19-percent increase in sales, would have been sold even more smartphones, but several companies have announced the launch of new terminals for the current quarter, and many customers have waited them and haven’t bought any phone in the first three months of the year. Smartphone sales have doubled up in the period mentioned, to 100.8 million units, according to the source.